NEW YORK, New York, October 2, 2016 (ENS) – India today ratified the Paris Agreement on climate change at UN Headquarters in New York, bringing the treaty’s entry into force “tantalizingly” close, said UN General Assembly President Peter Thomson. “The country is embarking on a sustainable development pathway. 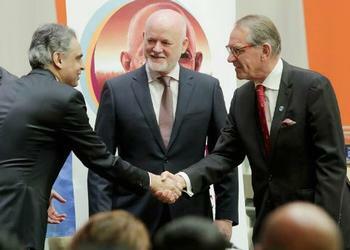 Prime Minister [Narendra] Modi calls it ‘development without destruction,’” said UN Deputy Secretary-General Jan Eliasson after witnessing India becoming the 62nd country to deposit its ratification during a commemorative event on the International Day of Non-Violence. 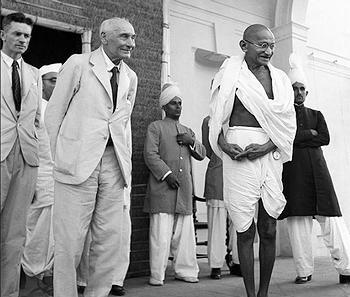 India chose the birthday of Mahatma Gandhi, who led the country’s independence movement and pioneered the philosophy and strategy of non-violence, to join the climate accord. “There is no better way to commemorate the great Mahatma Gandhi and his legacy of peace for people and planet,” said Eliasson. The Agreement was adopted in Paris last December by the 195 Parties to the UN Framework Convention on Climate Change (UNFCCC). It calls on countries to combat climate change and limit global temperature rise to well below 2 degrees Celsius compared with pre-industrial levels. The Agreement will take effect 30 days after at least 55 countries, responsible for 55 percent of global greenhouse gas emissions, deposit their instruments of ratification. The world’s top two polluters, China and the United States, have already formally joined the pact. With today’s action by India, which accounts for 4.1 percent of the emissions, the Agreement needs just slightly more than three percentage points to reach the “55 percent” threshold. The “55 countries” requirement had already been met. In a statement issued by his spokesman, UN Secretary-General Ban Ki-moon, who is visiting Switzerland, congratulated India for ratifying and formally joining the Agreement. “India’s leadership builds on the continued strong political momentum from Paris for urgent global action on climate change,” Ban said. EU ministers have approved ratification of the Paris Climate Agreement by the European Union, bringing the international pact very close to entering into force. The decision was reached Friday at an extraordinary meeting of the Environment Council in Brussels. Once approved by the European Parliament next week, the EU will be able to deposit its ratification instrument before national ratification processes are completed in each of the 28, soon to be 27, Member States. The European Parliament will vote on Tuesday to give its consent to the ratification of the Agreement by the European Union. The EU, which played a decisive role in the adoption of the Paris Agreement last December, wants to be seen as a global leader on climate action. The European Commission has already brought forward the main legislative proposals to deliver on the EU’s commitment to reduce emissions in the European Union by at least 40 percent by 2030. The Environment Council’s approval will be forwarded to the European Parliament for its formal consent next week. Once Parliament has consented, the Council can formally adopt the Decision. “The prospect that the Paris Agreement might enter into force without the EU as a signatory, considering the EU’s leadership on the fight against climate change, its role in the Kyoto Protocol, and its continuous efforts towards a subsequent universal treaty, would have been unthinkable,” said La Via. UN climate negotiations will continue at the annual Conference of the Parties to the UN Framework Convention on Climate Change November 7-18 in Marrakesh, Morocco.